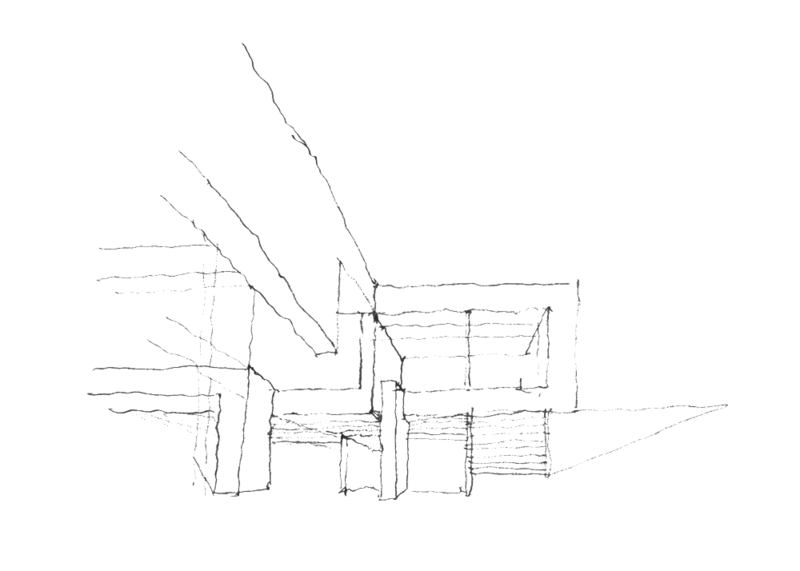 Kresge Foundation Headquarters — Valerio Dewalt Train Associates, Inc. 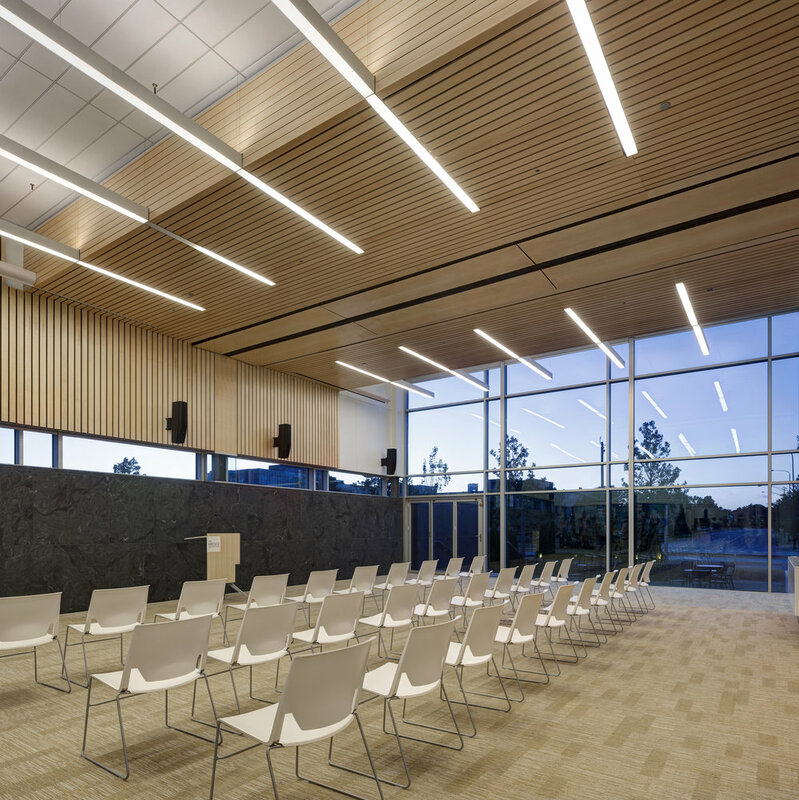 When Valerio Dewalt Train designed the first major expansion to the Kresge Foundation headquarters in Troy, MI, the focus was on leading the way in building sustainability and employee well-being. 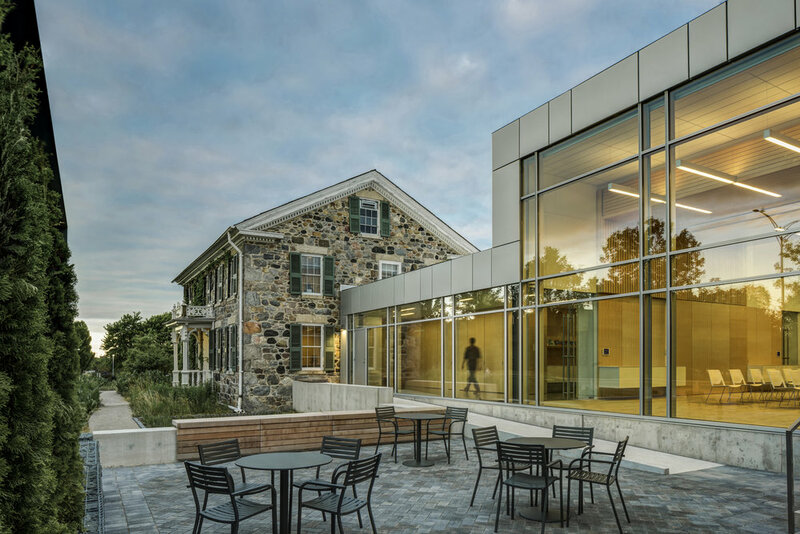 Completed in 2006, a LEED-Platinum building defined by light-filled spaces, surrounded by a restored a wetland, and equipped with cutting-edge sustainability strategies that seamlessly integrates with the original 19th-century farmhouse and barn was designed and built. 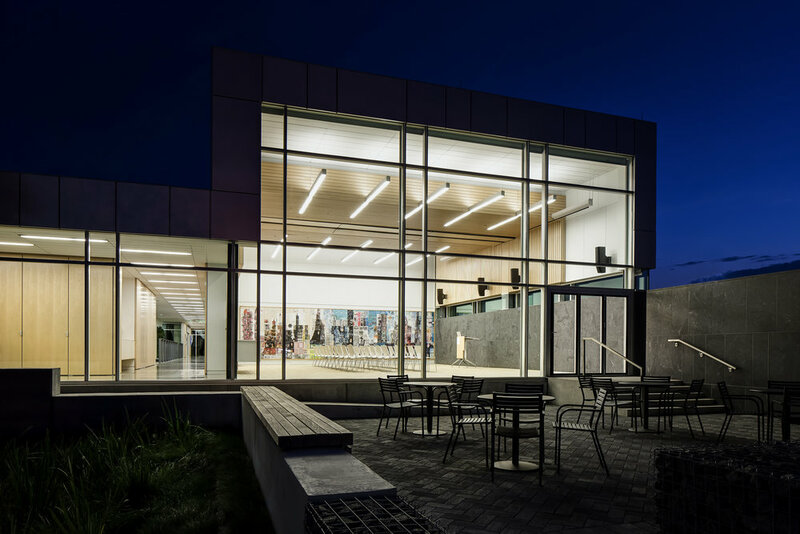 The Foundation’s new president and CEO, Rip Rapson (son of the celebrated mid-20th Century architect, Ralph Rapson), approached VDT to complete an addition to the project. The charge was not just to create more workspace for a quickly growing staff, but to fundamentally transform the way the organization worked. As we discussed the future of work at the Foundation, “collaboration” seemed to be the most frequently used word. The large convening room, featuring double-high floor to ceiling windows, is a multi-functional space that serves as a communal dining room by day, and a venue for lecturers and events by night. The existing linear circulation, which emphasized solitary work, is opened up to facilitate dynamic, circular movement. The architecture enables movement to powerfully transform the way employees at Kresge work. The story of the Kresge Foundation addition is a story of long-term relationships between architects and clients and the power of architecture to support philosophical and cultural change. The building now speaks the same language of collaboration as the Foundation’s own work.